For more enjoyment together. All bean-to-cup coffee machines are equipped with the new OneTouch for Two function as well as with the already familiar OneTouch feature. 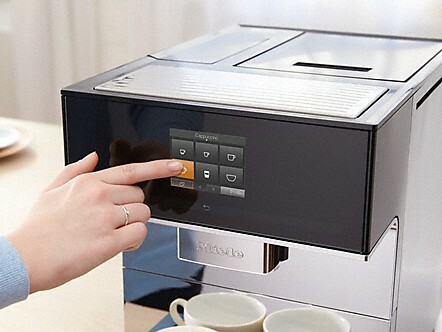 This function allows you to make two delicious coffee specialities at the same time by simply touching a button. The programme starts automatically. Because preparation takes less time, you have more time together. Effortless descaling: The CM7500 descales automatically using environmentally-friendly malic acid. The CM 7500 does not require complicated descaling as it does this itself. 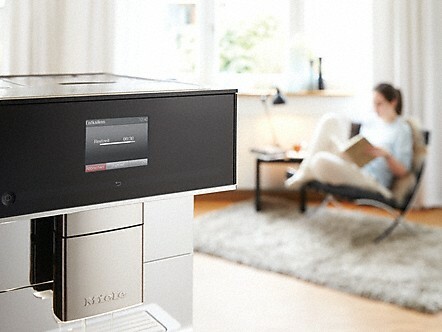 A patented invention from Miele: the CM 7500 descales itself from a cartridge at the back of the appliance – every day, at a time of your choosing. This ensures that persistent limescale does not develop. 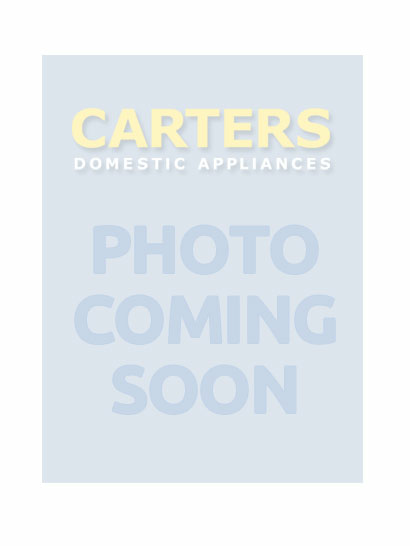 The cartridge will last for between 7 and 12 months, depending on how frequently the coffee machine is used, and is easy to replace. Excellent user convenience: After making coffee with milk, all components that carry milk are rinsed automatically with water from the water container. This makes hygiene very easy. Minimum effort required: Hot milk or creamy milk froth is delivered straight to the cup, glass or jug. With the Cappuccinatore you can prepare hot milk or milk froth in no time at all. 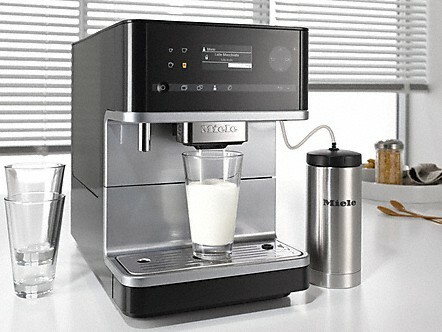 In just a few seconds it heats and froths the milk directly into the cup or glass. It can be easily cleaned in the dishwasher. Intelligent technology: The brew chamber mixes coffee and water perfectly. For an intensive coffee aroma. More room for more taste. 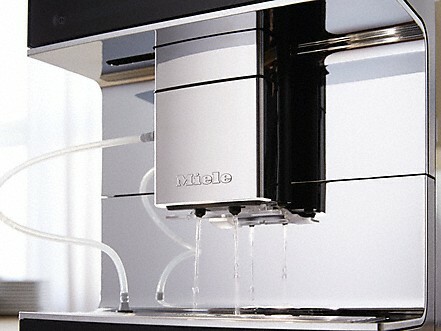 The brew chamber of Miele coffee machines expands when water flows in. The ground coffee is mixed very thoroughly with the water and the coffee aroma can unfold even better. 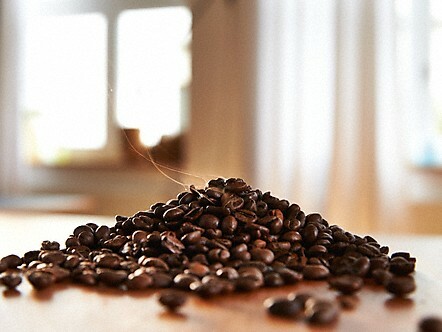 You can look forward to enjoying wonderfully aromatic coffee. Variety for gourmets: The CM7 prepares 20 types of tea and coffee specialities perfectly. Fully automatic. 20 different drink specialities. With 1 appliance. 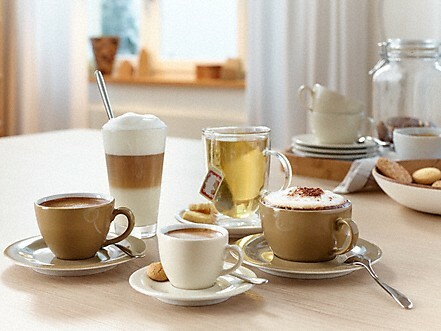 The new CM7 offers new and greater variety to enjoy: It can prepare 20 different types of hot drinks automatically. And the best yet: The CM7 not only masters the wide range of Italian coffee specialities, but also the individual preparation of various types of tea. Whether green or black, herbal or fruit tea: The water is always dispensed at the optimum temperature - for perfect tea flavour. Ideal distance: Automatic adjustment of the central spout. 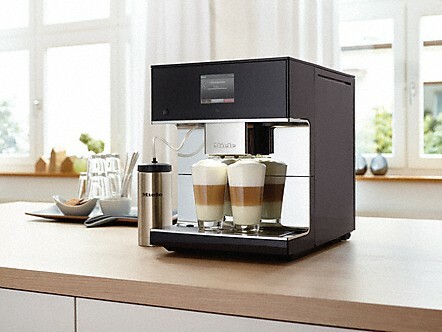 The CupSensor makes using your Miele coffee machine easier. 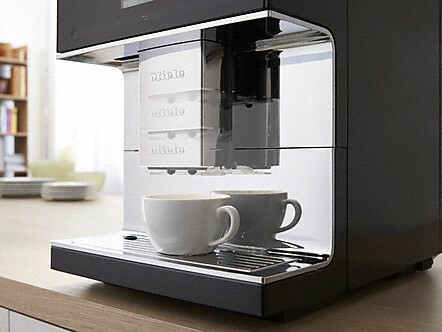 The sensor recognises the height of the cup and positions the central spout accordingly at a height between 8 and 16 cm. The ideal distance prevents splashes and ensures the perfect coffee temperature and the best possible crema. After the addition of milk the central spout is moved upward by 1 cm to prevent soiling. Tips for enjoyment: Touchingly simple. With all the enjoyment options the CM7 offers you, its operation is easy and intuitive. The convenient C-Touch display with the self-explanatory clear text makes sure of this. With just a few touches of the finger you select your favourite beverage and additional settings if available. For some function even one touch is sufficient. The display is easily readable yet understated with clear, white writing on a black background.